Absolutely fantastic device with stock Android just as it is intended to be.The screen is beautiful, the build quality is premium. Camera is good however I wish it had OIS. Speakers are loud enough. Fingerprint scanner is lighting fast. Battery life is great although it is still not perfect with heavy use, considering the size of the battery. No MicroSD, but USB-OTG covers most of the uses I had for MicroSD. It has SD 810 and it runs smoothly without any lag. 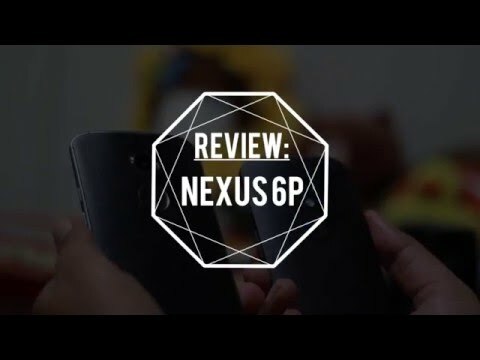 There is no perfect Smartphone, But Nexus 6P is definitely among the best. I have this phone since june 2016 and its probably the best android phone. Google&apos;s Nexus 6P is easier to hold and easier on your wallet, compared to the Nexus 6 from a year ago. New features, like a fingerprint sensor, reversible USB-C port and a better camera, are the selling points for this all-metal Android phablet. The camera is a very good update over the previous line of Nexus phones as it is able to handle many lightings. The phone using snapdragon 810 along with 3gb of ram runs really smooth. I dig the front-facing stereo speakers enough to use them. Too many Androids put the speakers on the back, which makes no sense at all. The design of the phone is sleek, metallic and perfect. It is equipped with the latest version of Adreno 430 for extreme high end games. Since this is a Nexus phone you will be the first one to receive updates and the joy of using pure Android is something that is very enjoyable.The position of fingerprint sensor which is on the back of the phone that makes the access pretty easy when compared to the one on the front. I have been using the phone for over a year now and till now I haven&apos;t faced any major issues. This phone is totally worth the price. A great phone for anyone looking for a stock android experience . The screen is fantastic , looks are great and it is built like a tank. Fast charging capabilities along with the best sounding speakers that any phone has to offer. Camera is great with good low light shots. Although there is no sd card extension and wireless charging. I have been using this phone from 8 months and it&apos;s actually worth the purchase. 6 Pricebaba users have written their experience with Huawei Nexus 6P. If you own Huawei Nexus 6P, please do leave your feedback too. Nexus phones were often seen to cut corners to keep the pricing reasonable. But since 2014, Google decided to go only high-end with the Motorola-made Nexus 6. In 2015, there are two phones in the making  a smaller, watered down Nexus 5X made by LG and a bigger, high-end Huawei Nexus 6P. The Huawei Nexus 6P price in India is Rs 39,990 for the 32GB variant at launch. The Nexus 6P has a big 5.7-inch display, although its not as ridiculously big as the Nexus 6s 6-inch display. Its a Super AMOLED panel, which means colours will pop and contrast will be great. The display also compliments the Ambient Display feature that is powered by the new Sensor Hub  a bunch of co-processors that constantly detect motion, to light the display up the moment you pick up the phone. Its got a Quad HD resolution (2560 x 1440 pixels), meaning it is going to be adequately crisp. It is powered by a Qualcomm Snapdragon 810 octa-core chip, that was in the news for causing overheating in other phones, but we sincerely hope it doesn't plague this phone too. Theres ample 3GB of RAM and it comes in 32GB, 64GB and 128GB of internal storage options. There are stereo speakers placed at the front of the device. Oh and boy this phone is a looker! Wrapped in an aluminium unibody, this beast is covered with Gorilla Glass 4 on the front and metal at the back. It has the same 12 megapixel camera sensor at the back as the Nexus 5X, with a big 1.55 micrometer pixel size that aids better photo quality in low light. Theres a duo-tone LED flash at the back. Theres an 8MP front-facing shooter too. Next to the rear camera is the fingerprint scanner dubbed Nexus Imprint. This works exactly like Touch ID on an iPhone; the only worry being its placement at the back, meaning youll have to pick up the phone to use it. Theres a huge 3450mAh battery packed inside this monster and with Android 6.0s battery optimisations (like the Doze feature), this phone should receive no complaints with regards to battery. Wireless charging, that was present in the Nexus 6, has been dropped but instead you get fast charging via the USB Type C charging port. Huawei is thoughtful enough to pack in a USB Type C to USB cable inside the box, so you can charge the phone with your old phone chargers as well. All in all, the Nexus 6P is all set to become the favoured high-end Android phone in 2015 for people wanting a clean stock Android experience, provided theyre okay with the big form factor.